quite possibly the best blog you will ever stumble upon. : Another classic -- 2cool 4school! 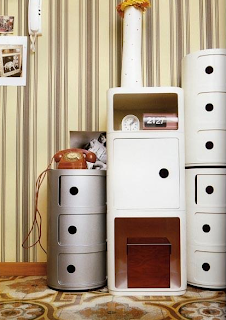 These little storage units designed by Anna Castelli Ferrieri in the 1960s are soo super cool! When I first saw one it was like love at first sight. For real! They aren't that expensive, and the good thing is they are often sold on craigslist (that's where I got mine). You should totally get one. You totally will not regret it.